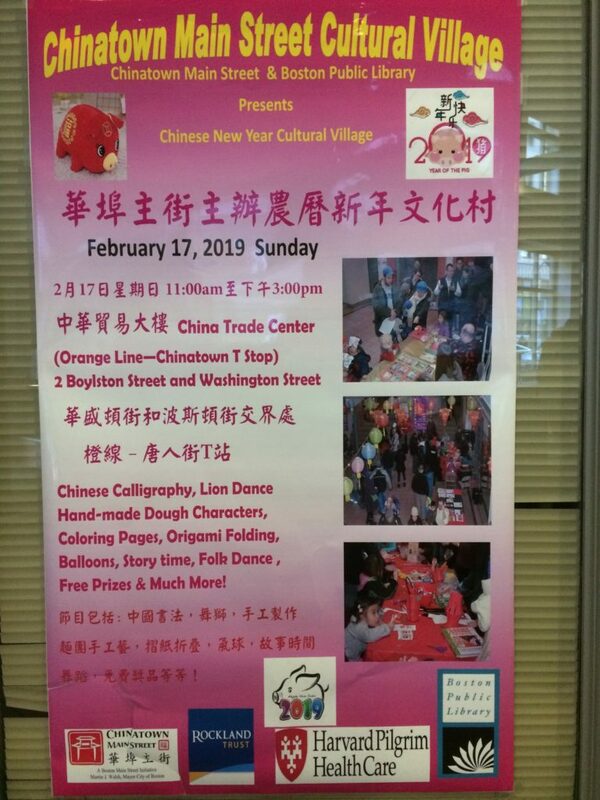 If you follow the lunar calendar as I do, you know today is Lantern Festival, the 15th and last day of the Chinese New Year holiday. 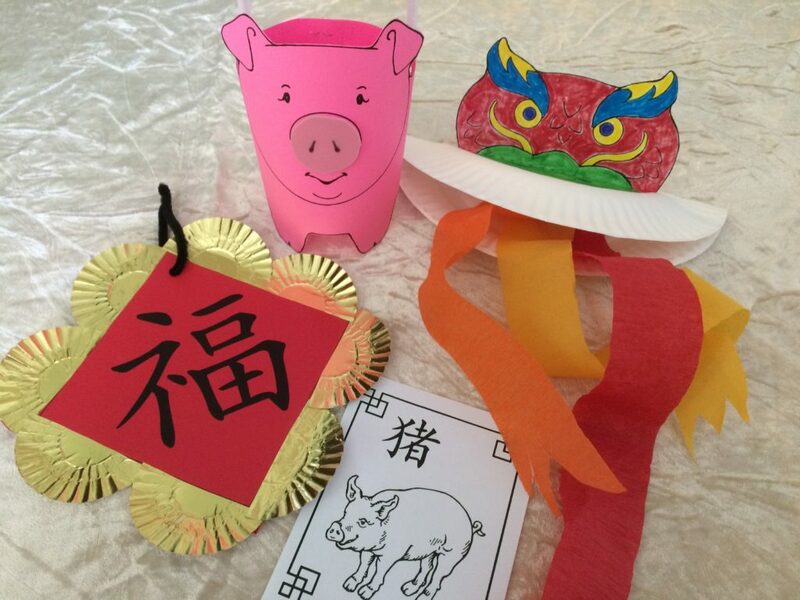 What a perfect time to review the amazing weeks I’ve had partaking in celebrations for ‘Year of the Pig’ all across New England and sharing Lucky Bamboo Crafts. Most of the events included my daughter’s help and company (and driving on her permit) which was the best! 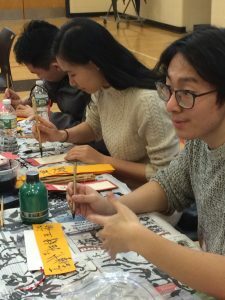 I know this is a long post but I’m proud of the great attendance and cultural education at every one of these events and wanted to include as much as possible. 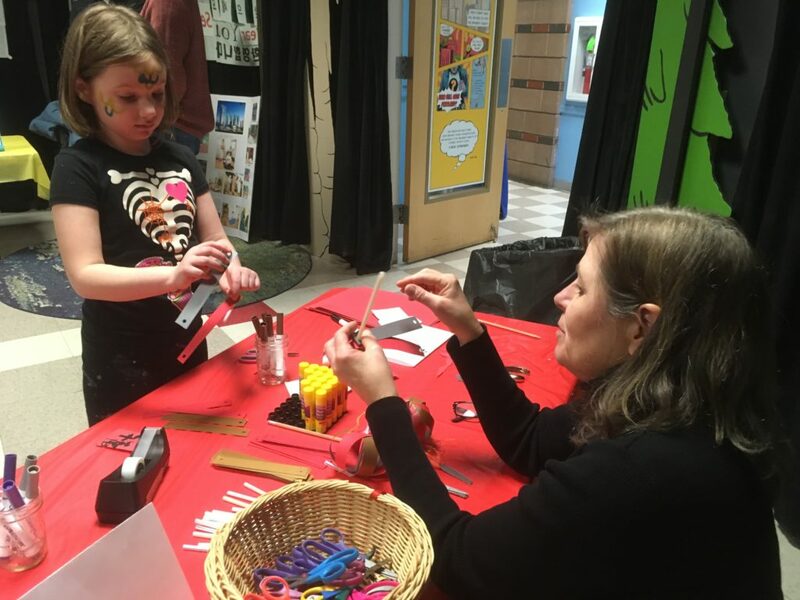 Sure, I put a lot of work into designing and planning the crafts, but also had enthusiastic and incredibly professional, welcoming hosts at every event. 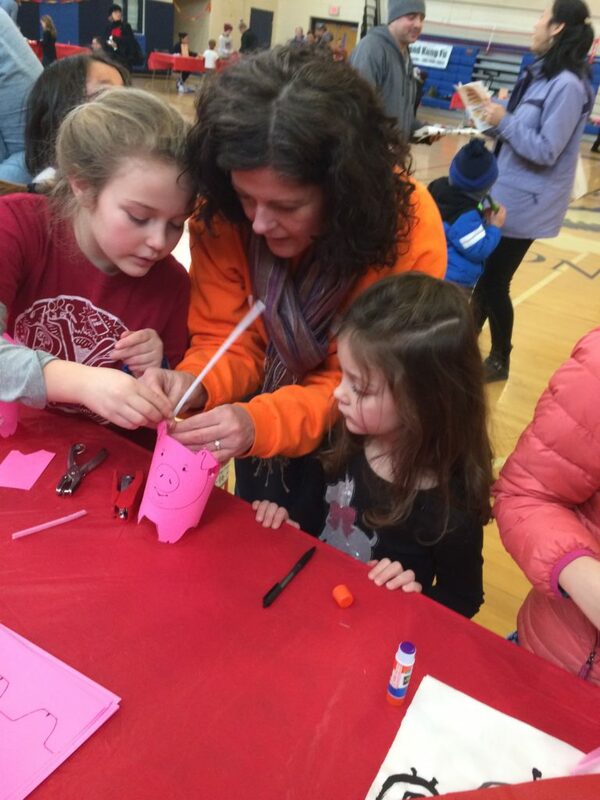 I loved meeting inspired parents, grandparents, educators and hundreds of excited kids, ready to roll up their sleeves and make some crafts. 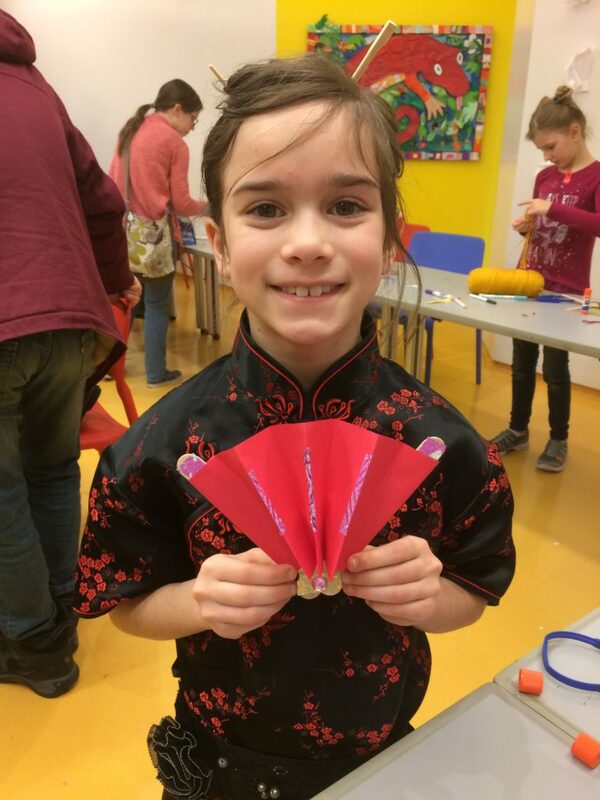 Many children even wore Chinese attire, hairstyles and accessories to show their (adorable) passion for the culture and holiday. Ok so let’s get started! 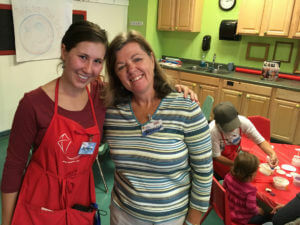 First was the Children’s Museum and Theatre of Maine. 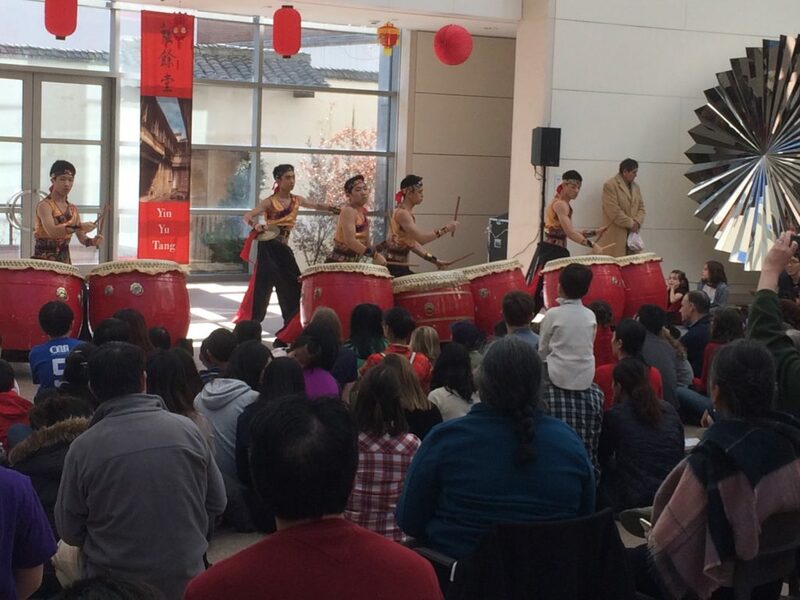 CAFAM and the CMTM have been mutually hosting some cultural events and it’s been a great partnership! 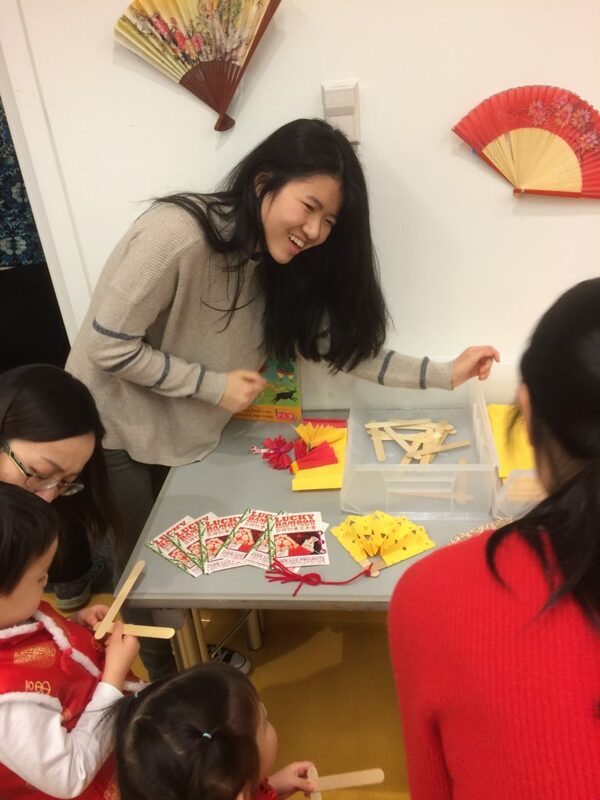 We made mini-lanterns and offered tastes of Tang Yuan. 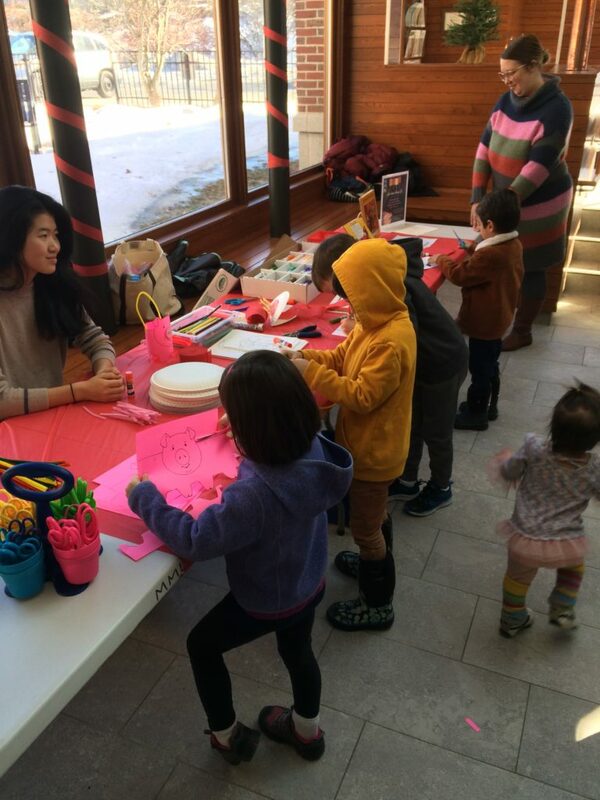 A local Korean organization also brought some wonderful displays and snacks since the museum wanted to highlight the connections of different Asian lunar celebrations. 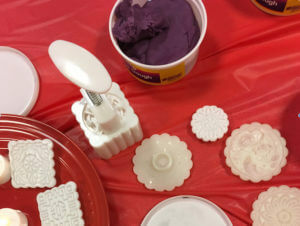 Next came our local CAFAM event. 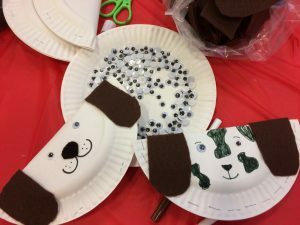 I was invested heavily in the months of planning all aspects of the day with our board members including numerous craft tables. Whew! 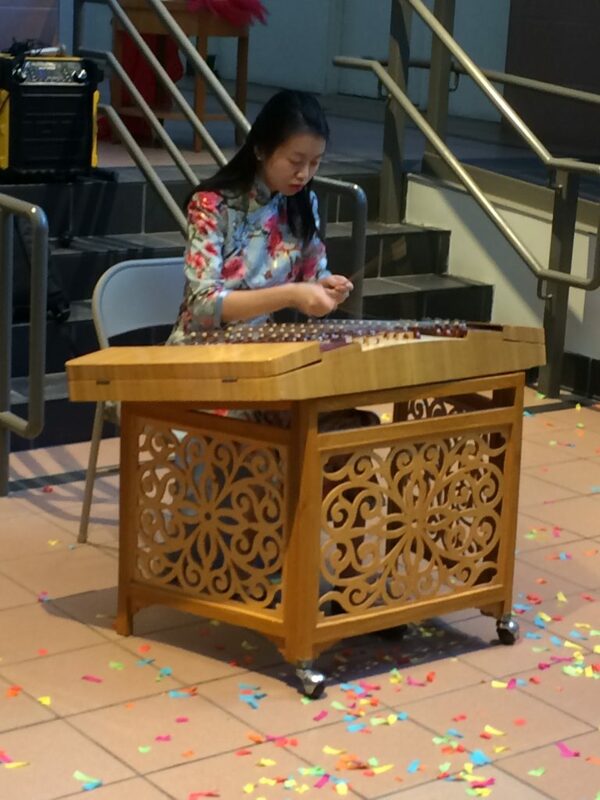 We had a wonderful celebration and even hosted a special guest erhu musician from Boston. 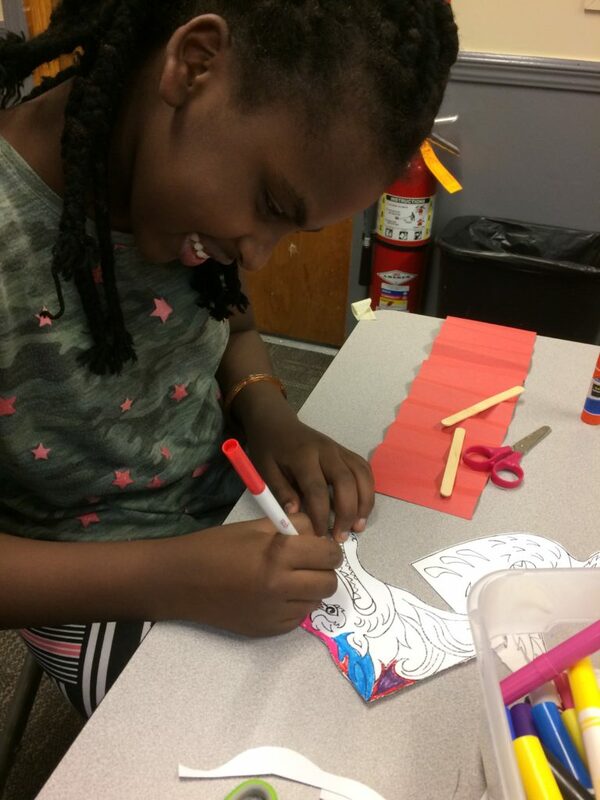 Our volunteer site, LearningWorks was the perfect place to share some cultural fun since the children from many countries that are in that after school program are always teaching me so much about their own cultures. 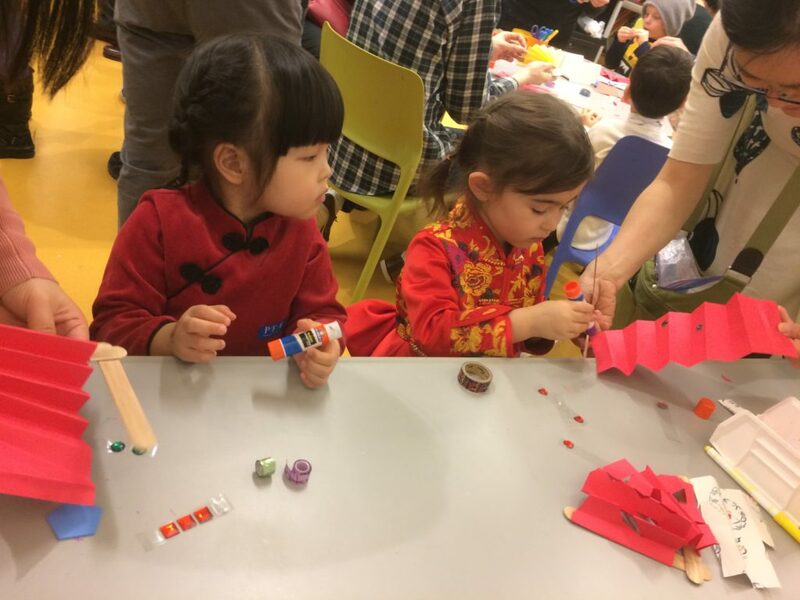 The teachers were so kind to turn over their busy classes to us to make dragon puppets and talk about this time of year in Asia. 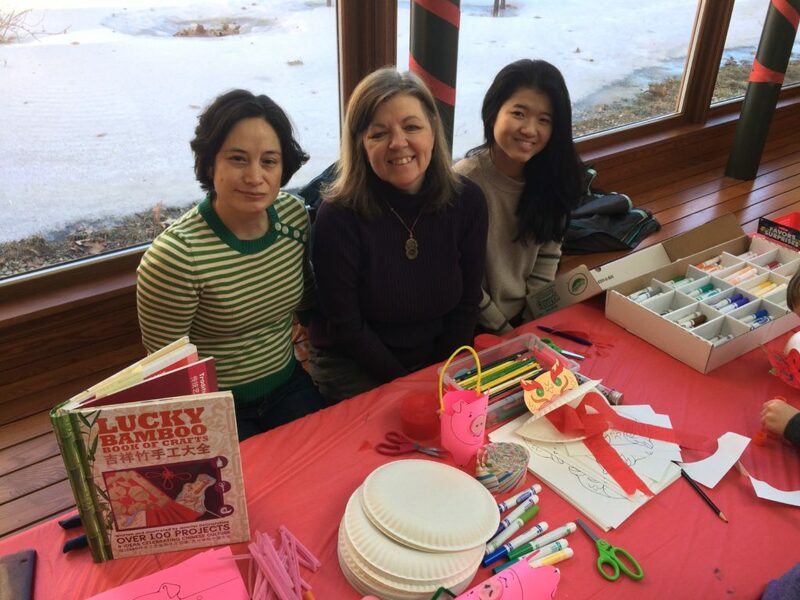 Merrill Memorial Library right here in town hosted a small event through their children’s library program. 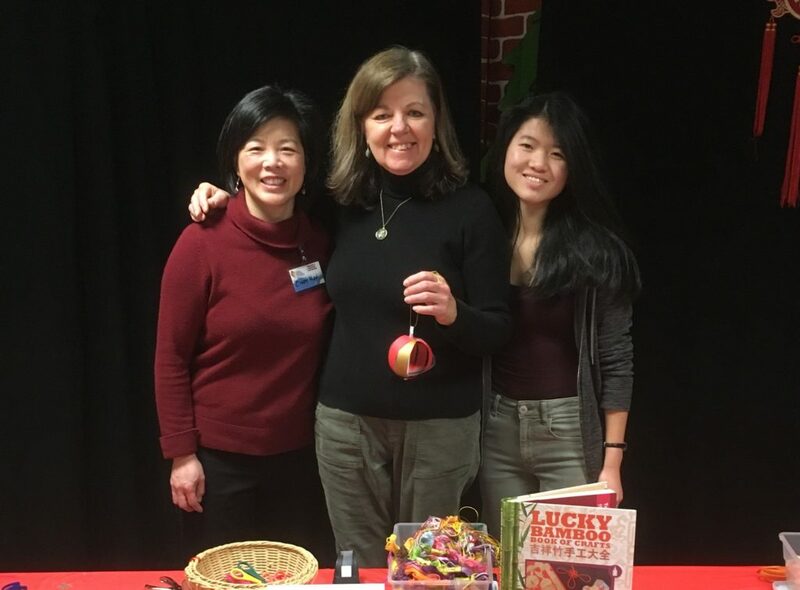 Although they’ve had my book in their stacks for years, this was the first time we’ve been invited to offer activities, and it was a great opportunity to meet our local neighbors! 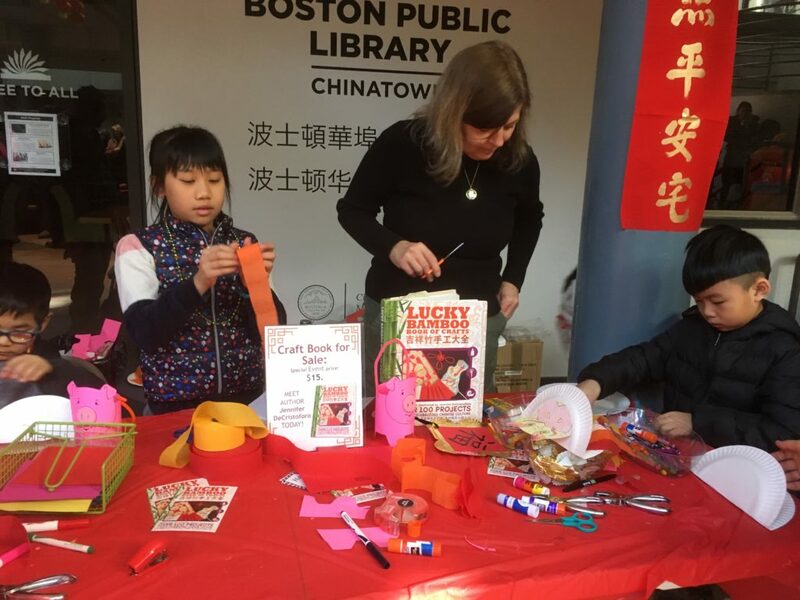 Peabody Essex Museum is always a beautiful venue to host Lunar New Year and build upon their great collections of Chinese art and many Asian-themed activities throughout the year. 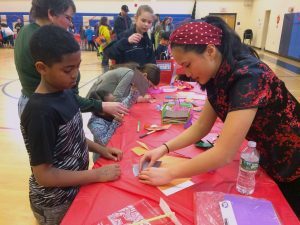 They have a huge maker space that is equipped for the crowds. 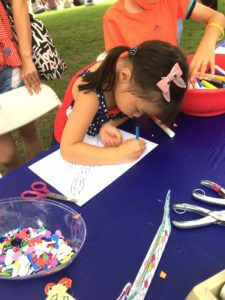 The fan project we offered was perfect for toddler through teen, and kids (and parents!) got really creative with the embellishments. 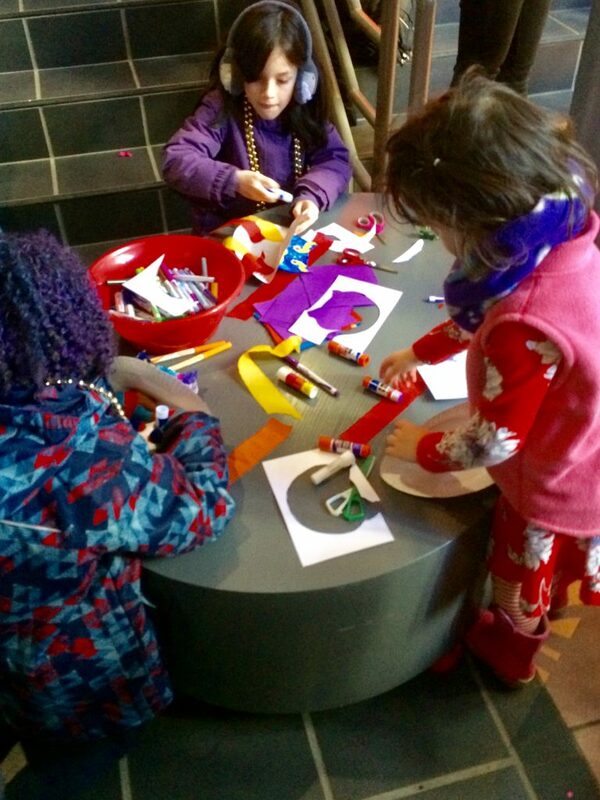 They had a fun lantern riddle hunt throughout the museum too! 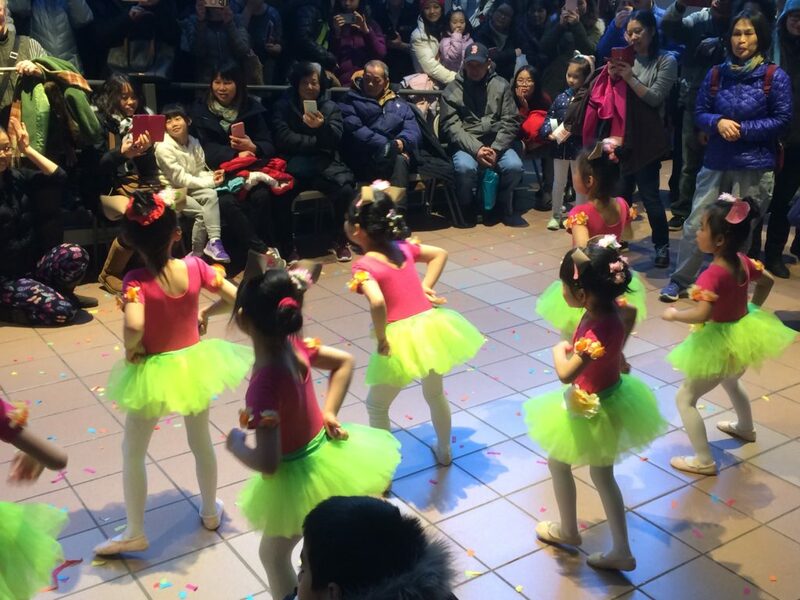 How we love our Boston Chinatown friends! 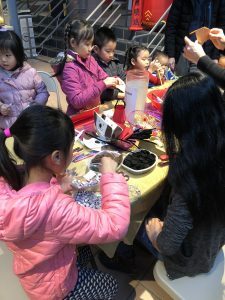 Bringing crafts to the Chinatown Main Street celebration was a perfect way to round out the holiday. 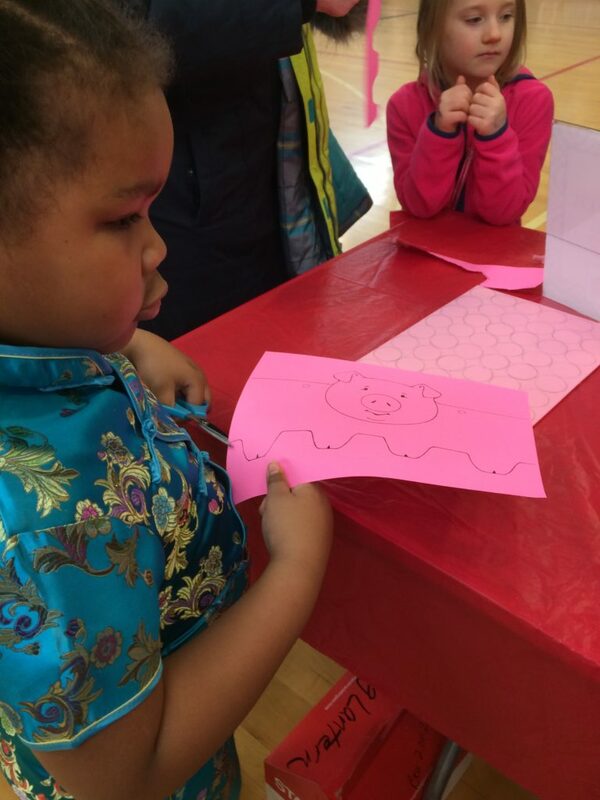 Our craft table in the China Trade Building was a popular hub, even with all the action going on around us. 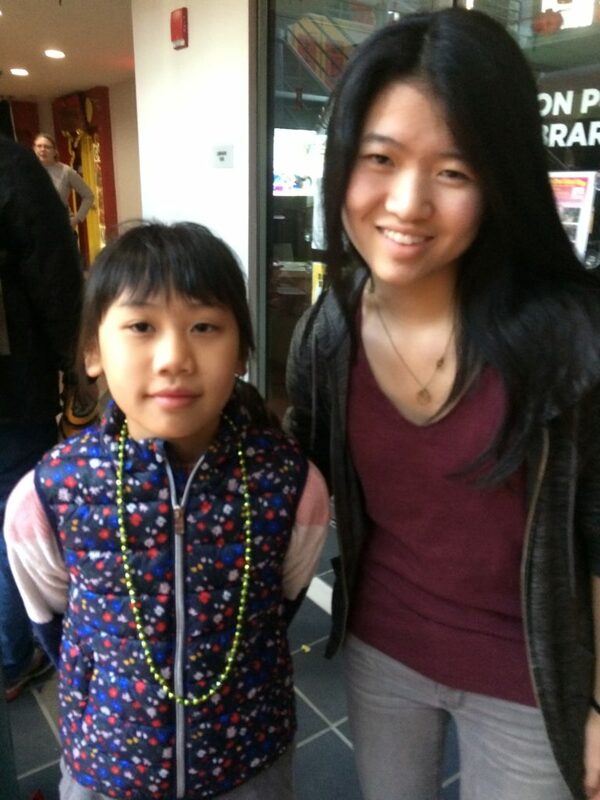 And our young Chinatown friend CG comes and finds us every year and loves helping out. 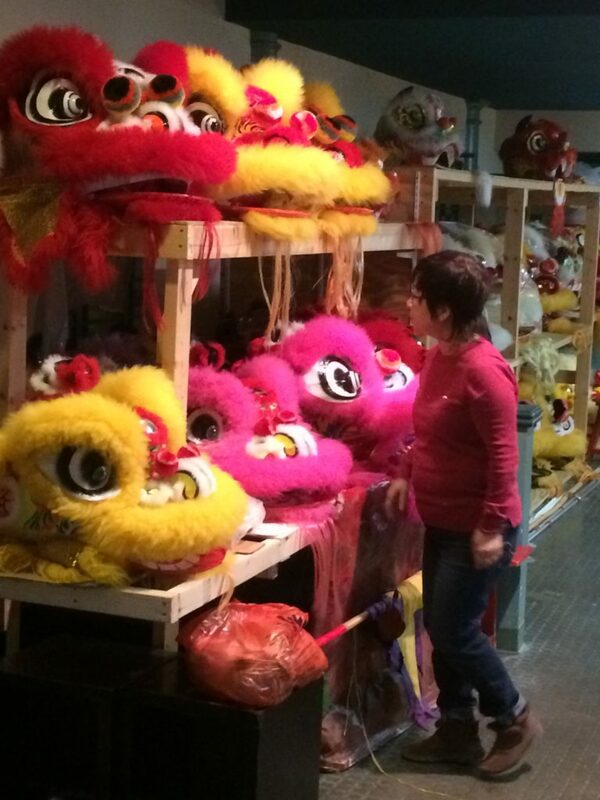 Once we wrapped up, we made sure to linger in Chinatown for a nice meal while the firecrackers popped and the lions munched on their offerings outside the restaurant. 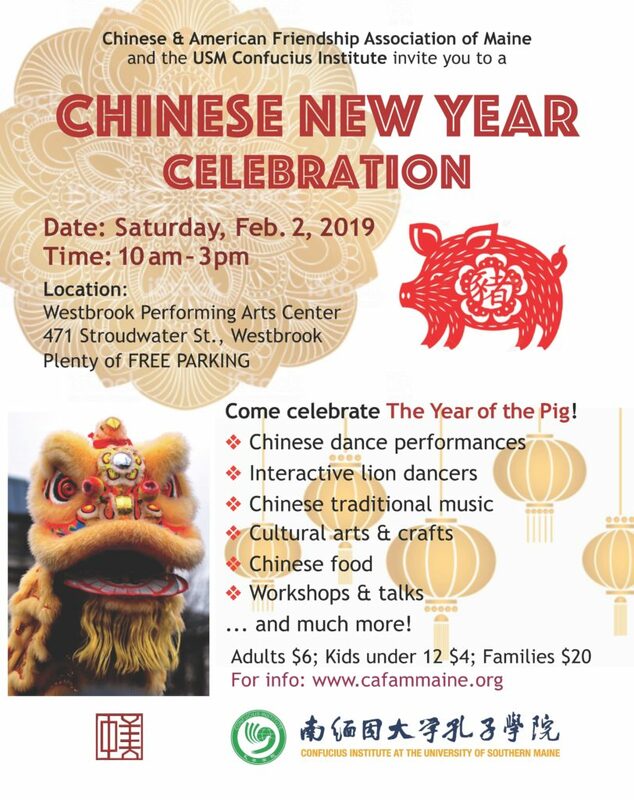 And in other news, I have recently accepted the president position for the Chinese & American Friendship Association of Maine. I look forward to new and exciting events, initiatives and working with wonderful people both on the board and in the community in 2019. Along with that, I’ve been updating my website with new links and projects so do check back from time to time. Now that I’m back in Maine, I’m tidying and storing the sprawl of craft projects and supplies around here as we still dodge snowstorms every few days. But spring will come. As we enjoy the holiday season in Maine, I find reasons for gratitude at every turn. I try and give where I can, be compassionate, and reflect on what was a good year. This hasn’t been an easy time to peddle kindness in this country. But perhaps the holidays will bring out the best in people and also offer a fresh start for anyone that feels their selfish, divisive or small-minded behavior in 2018 didn’t really work for them. So where else is there rejuvenation? Well, right here at Lucky Bamboo Crafts! My redesigned website is finally launched. It combines the essentials from the earlier version with a whole lot more to explore. 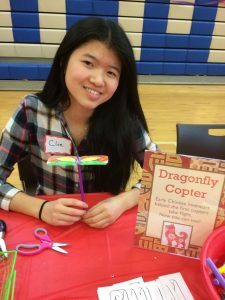 My hope is for this new site to constantly grow and change as I add content, have new adventures with my book, and offer usable Chinese culture printables, ideas and instructions just for you! 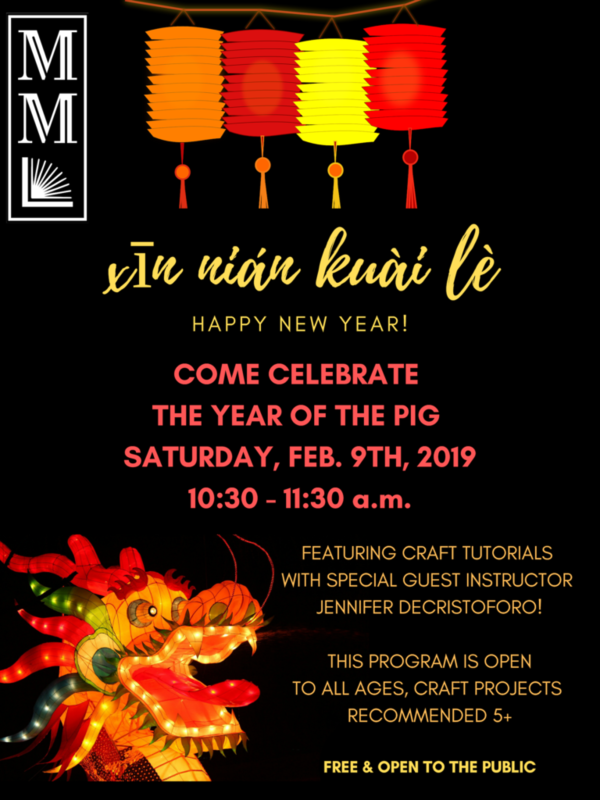 As always I’m looking forward to the Lunar New Year festivities in February and have many craft events on the schedule for ‘Year of the Pig’. Please check out my calendar for details and come join in the fun! Wishing everyone happy, healthy and joyful holidays and I’ll see you in 2019! As I look out my window at the New England postcard of blazing autumn color, the events of late summer seem long passed. 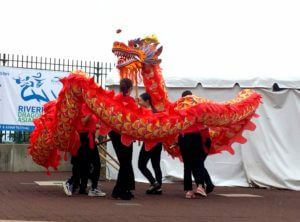 But I did want to recap the Dragon Boat & Asian Festival in Hartford, CT. 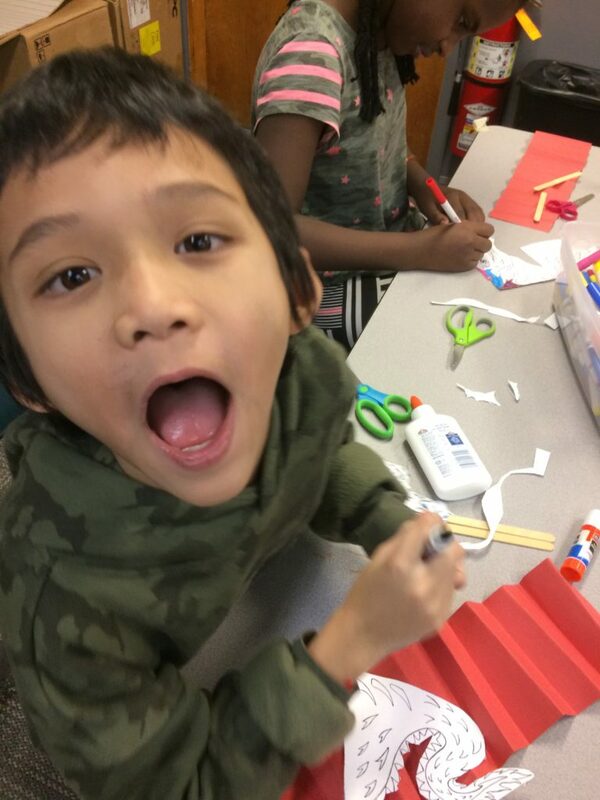 I had a great day of crafting with the kids and had a dear friend helping out (thank goodness!). I also made a new friend that offered paper folding and was amazingly skilled. She was a math teacher and also runs the origami club at her school. 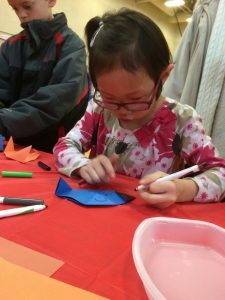 In September I helped lead crafts for the Mid-Autumn Moon Festival at The Children’s Museum & Theatre of Maine here in Portland. 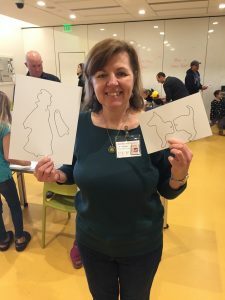 This was extra-special for three reasons; I had never partnered with the dynamic outreach director at the museum but had wanted to after floating ideas with her for years. Also, I participated as part of our CAFAM organization so had some other crafty board members by my side. 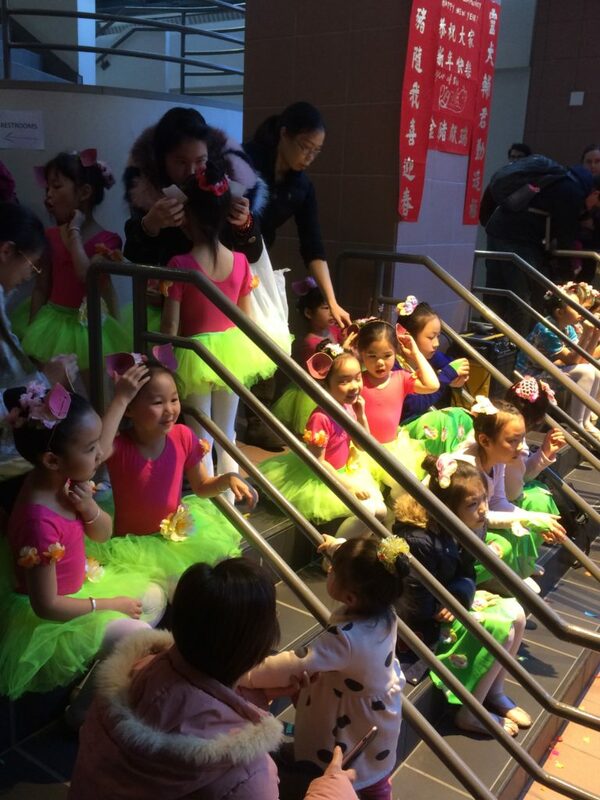 And lastly, it’s always more fun when my daughter participates! She had a great time and remembered being a small child there herself, climbing on the firetruck and shopping for play food. 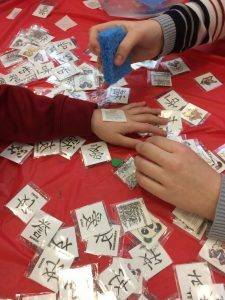 Mandarin classes are underway and I’m already experiencing the huge positive difference in working with an excellent teacher rather than tackling it on my own. This is what she does! It feels odd to have homework, a text and workbook, and be on the student side of life, but since my daughter is currently looking at colleges(!) I guess I’m serving as a fine example! 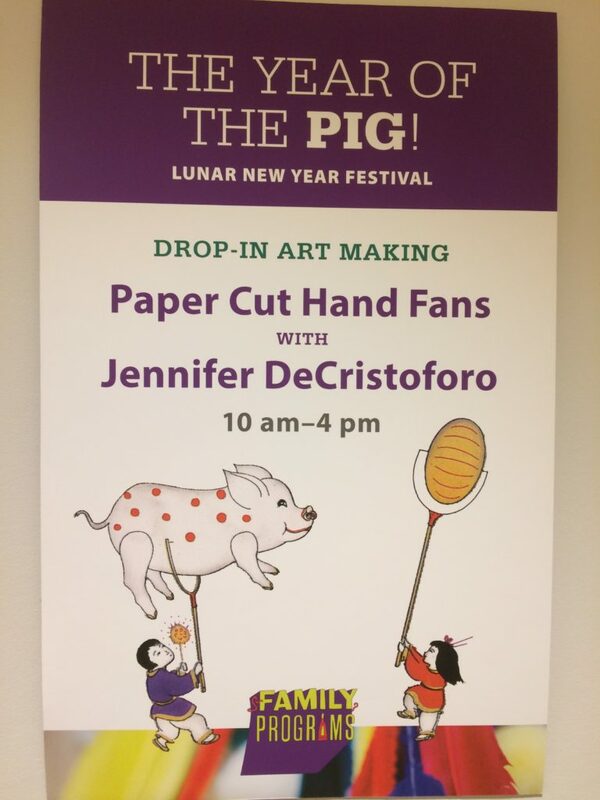 Well, we’ll see…..
Next post, I’ll be ballyhooing my updated website and will have ‘Year of the Pig’ planning in the works. New crafts, for sure. For now, get out and vote! Let me start by addressing the “elephant” in the room…. and I mean that literally. 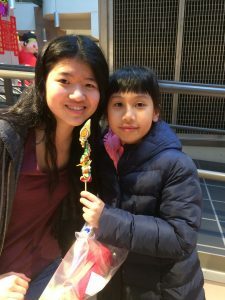 I traveled with my daughter to Thailand in June and although Chinese crafts were the furthest from my mind, I wanted to share a bit about this life-changing trip. 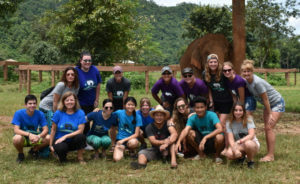 Along with tourist travel, we volunteered for a week at Elephant Nature Park in Chiang Mai. 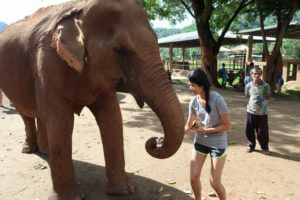 We worked hard basically pampering rescued, previously abused and injured elephants and maintaining their grounds. 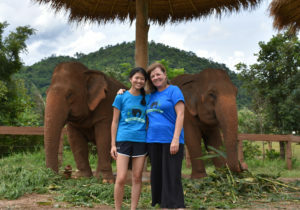 Participating in the work of an amazing woman, founder Lek Chailert was beyond inspirational. I highly recommend getting involved with this organization, and feel free to e-mail me or leave a comment if you have questions about the volunteer experience. And oh yes, the mother-daughter time was the best! 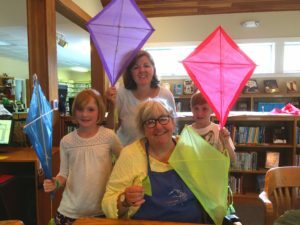 I had a sweet event at a small island library last month. 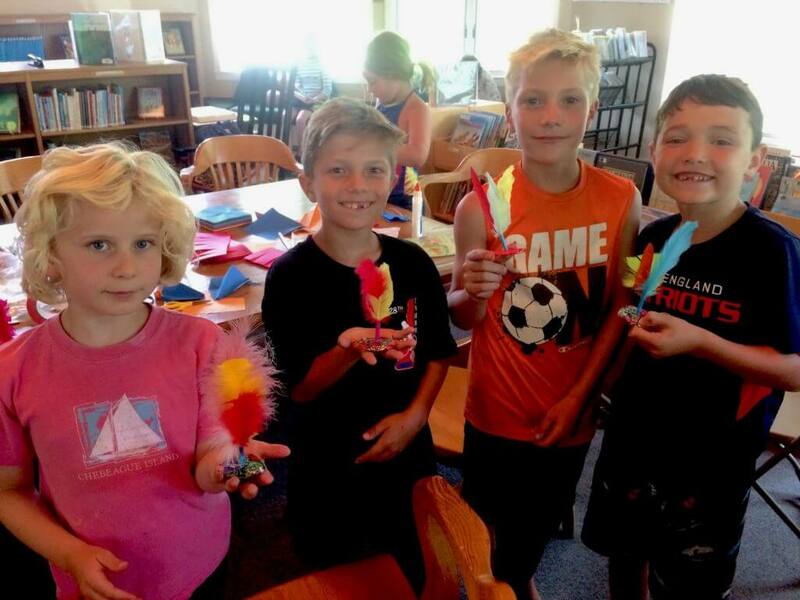 We made Chinese shuttlecocks, which was a perfect summer craft. 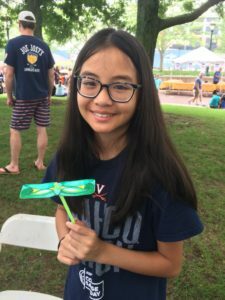 After the construction, my daughter took the kids outside and they practiced traditional shuttlecock games. 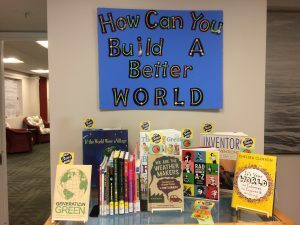 Thanks, Deb (Library Director Extraordinaire) for another wonderful visit! 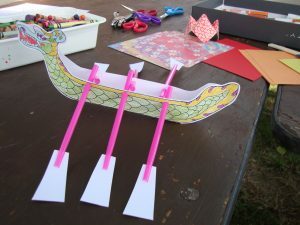 Dragon boats book end my summer. In June I attended the Boston Dragon Boat Festival for the first time. The races were exciting on the picturesque Charles River and the activity area was bustling. 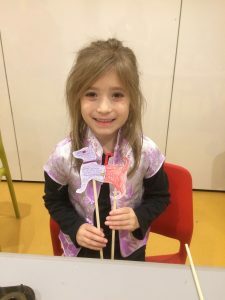 I will hopefully add Lucky Bamboo Crafts to their mix next year! 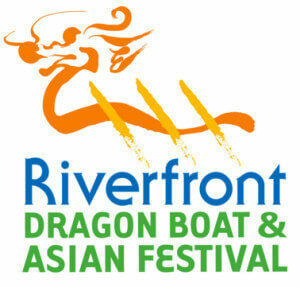 In a couple of weeks I will head to Hartford, CT for their annual Dragon Boat & Asian Festival. 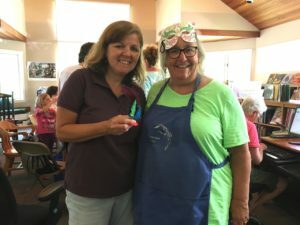 It’s been a couple of years since I’ve offered crafts there and I look forward to returning with some fresh projects. 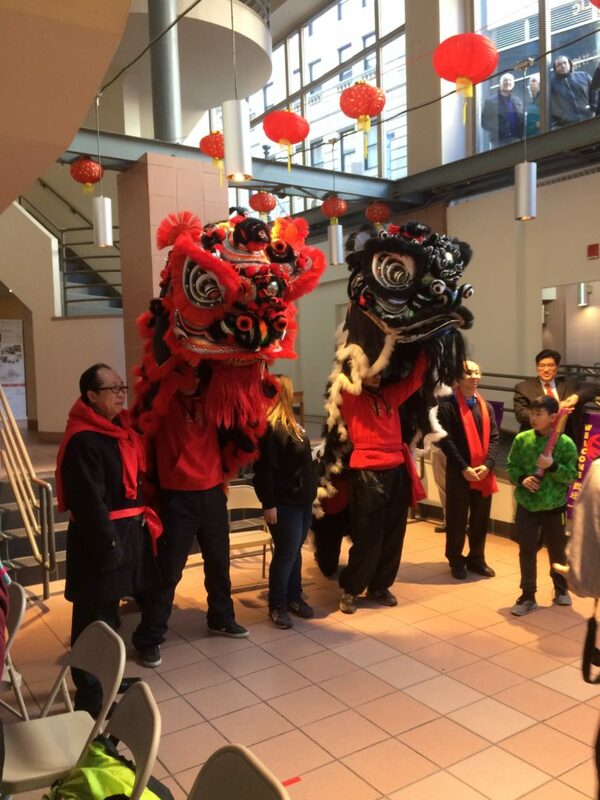 It’s a great event where the city river park is alive with dragon boat races, performances, food vendors, artisans and organizations. Yes, my new redesigned Lucky Bamboo Book of Crafts website is coming, it really is! I think everyone can relate to the struggle to complete projects that have only a self-imposed deadline. Summer in Maine is in itself a heavy distraction but a good one. I hope you are soaking in summer as well, and finding water, sunshine and good food with family and friends. Scroll painting has a long history (literally!) in China. 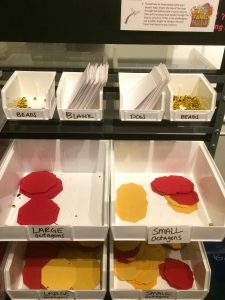 You can get a roll of butcher paper (brown will look ancient!) 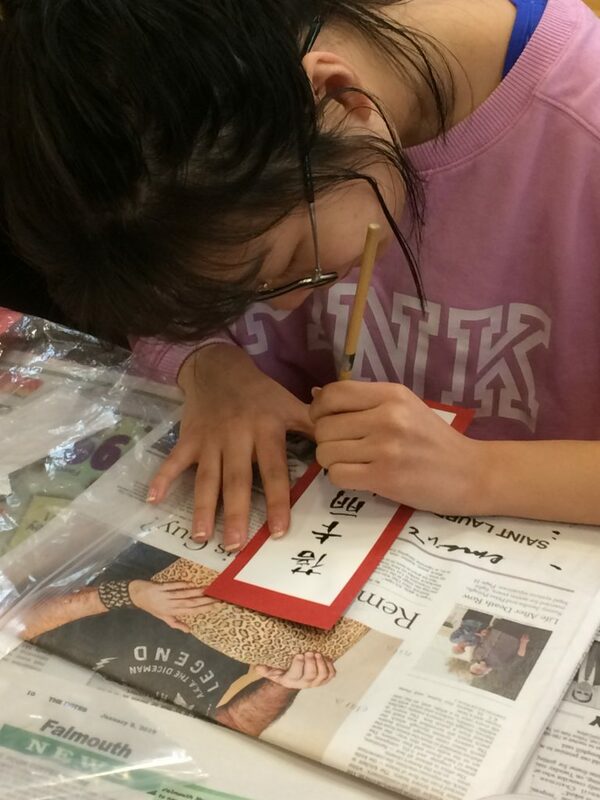 or cut a large, narrow section of a sheet and paint or draw a group scroll. Think of a banner turned on its side. 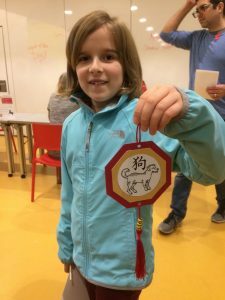 You can use a specific story for the art or be more general and just have the kids come up with some Chinese themes and/or simple calligraphy. 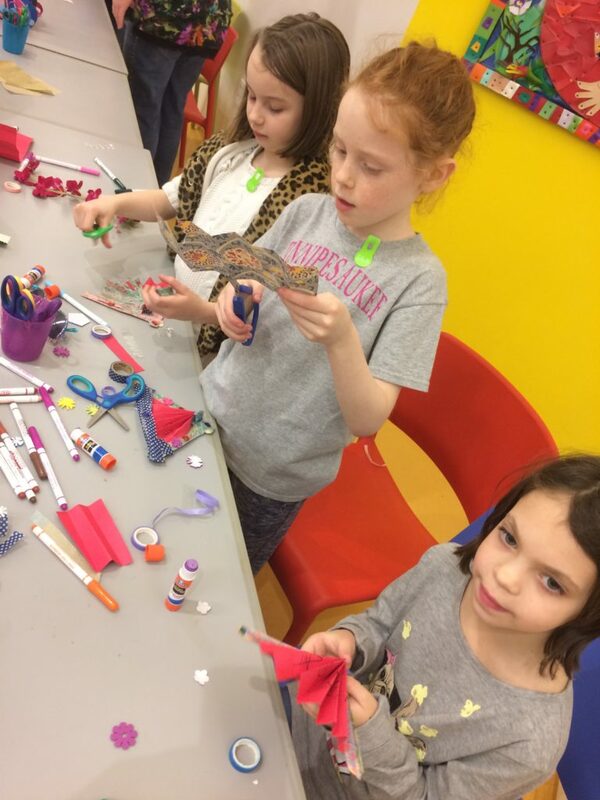 Performance crafts will get kids more invested in larger activities since they are used as part of a show. 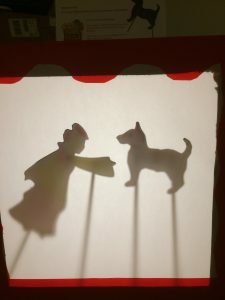 Ribbon sticks (for Chinese ribbon dances) or shadow puppets (and they can also make the shadow stage) are both loads of fun. 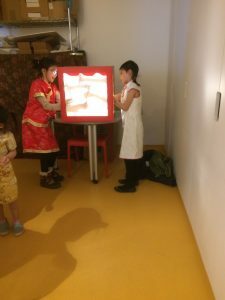 You can see my Lunar New Year post from February for some shadow puppet ideas. 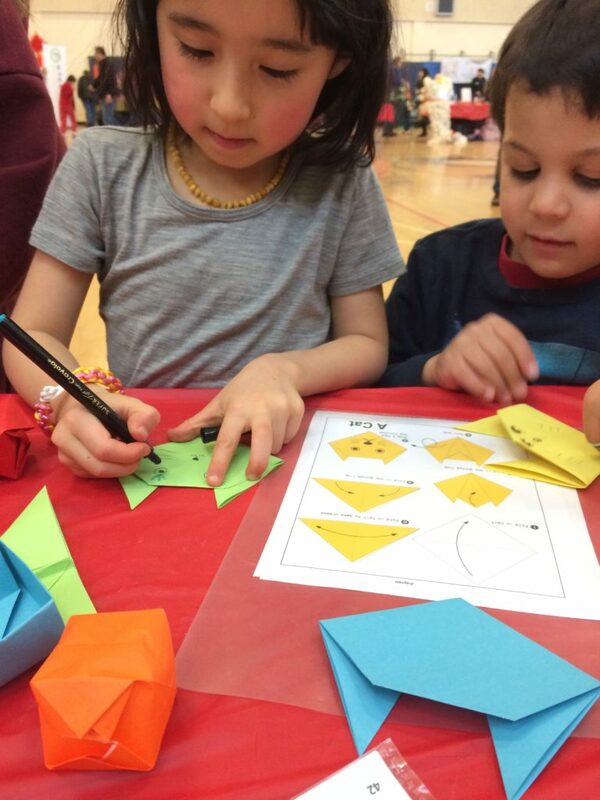 Paper folding is a wonderful social activity and quite addictive! Have a good supply of origami paper available all the time. 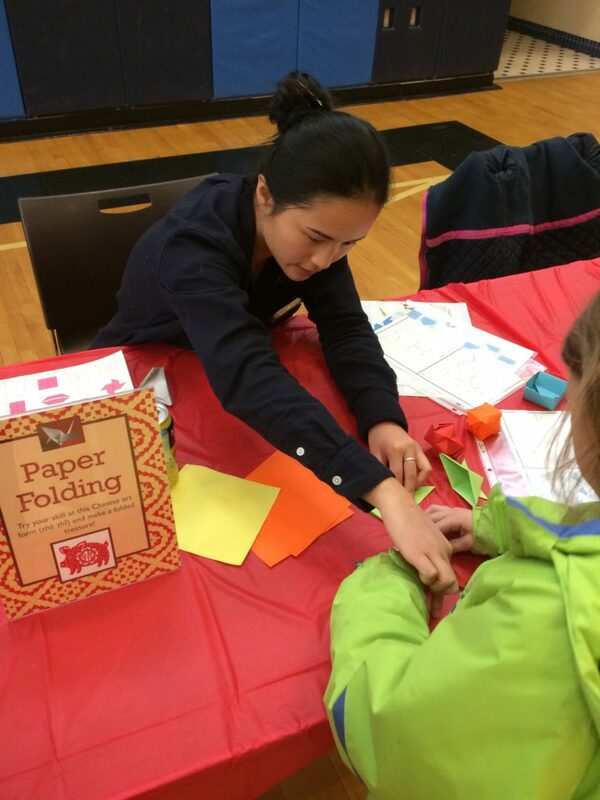 You’ll soon discover your secret paper folding masters! 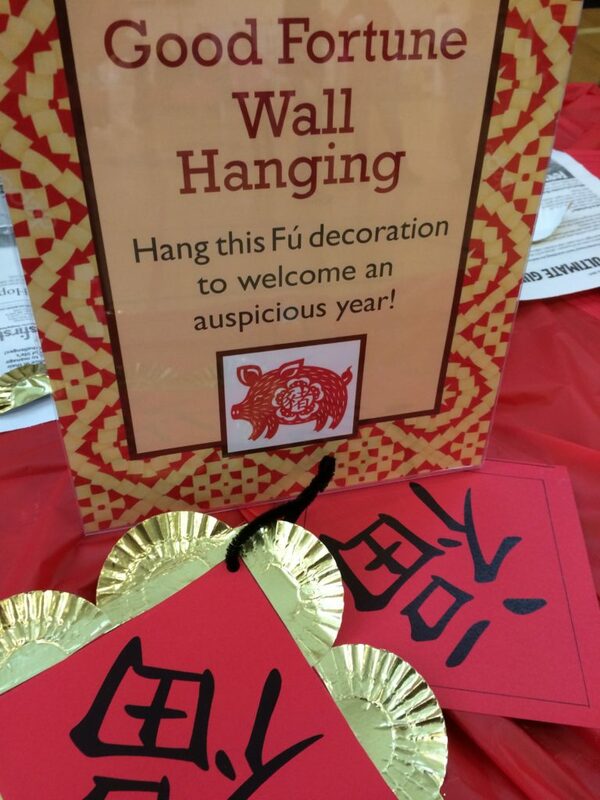 Instructions are easy to find online, and if you find you have some awesome crane folders, create group chains and mobiles to decorate the camp. Use a basic napkin holder with a top weight or arm to keep your paper organized and safe from breezes. 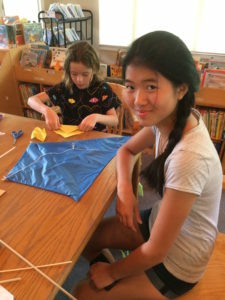 Kite making is an activity I’ve offered many times in summer programs. 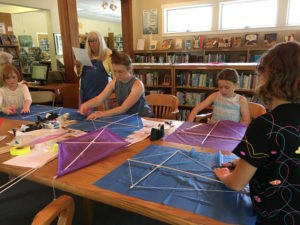 It seems “old school” that kids would know how to whip up a simple diamond kite, but not the case! 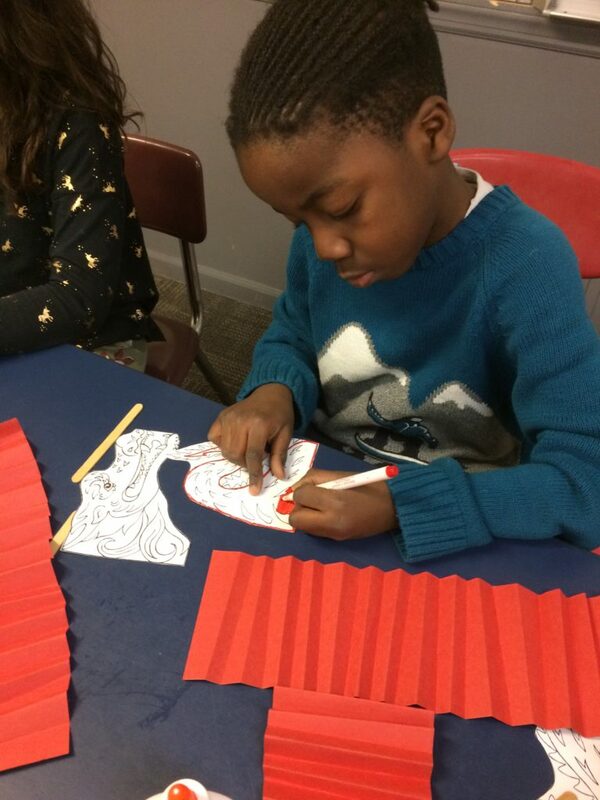 And if you want to dig into the rich history with older kids, you can explore more complex designs, and artwork can be painted on the surface with basic craft paint. Happy flying! 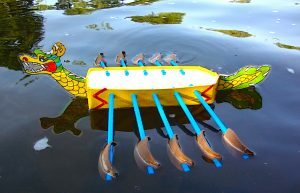 Dragon Boat Festival races are popular worldwide on the June 18th holiday and extend right through the summer, especially in the United States. 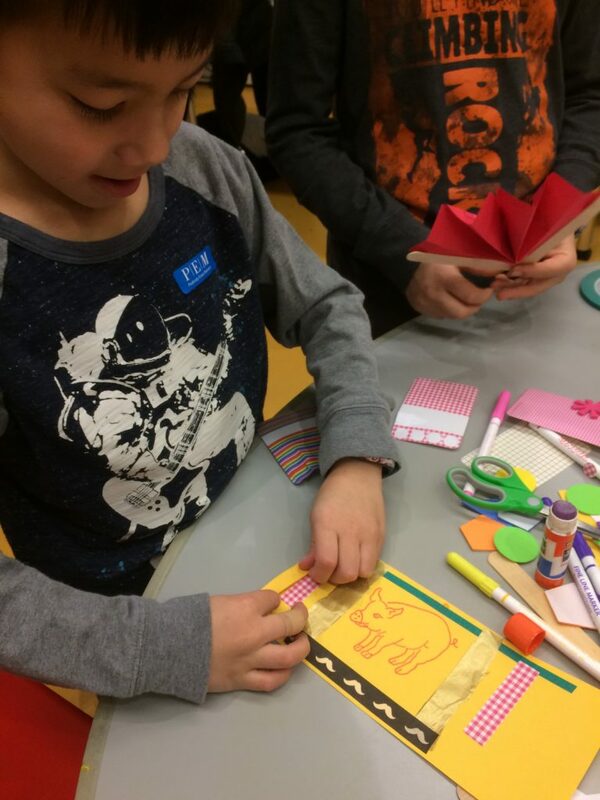 Lucky Bamboo Book of Crafts includes a reproducible template and instructions to make a kid-sized version. And if you make the boats water-worthy, you can have your own races! 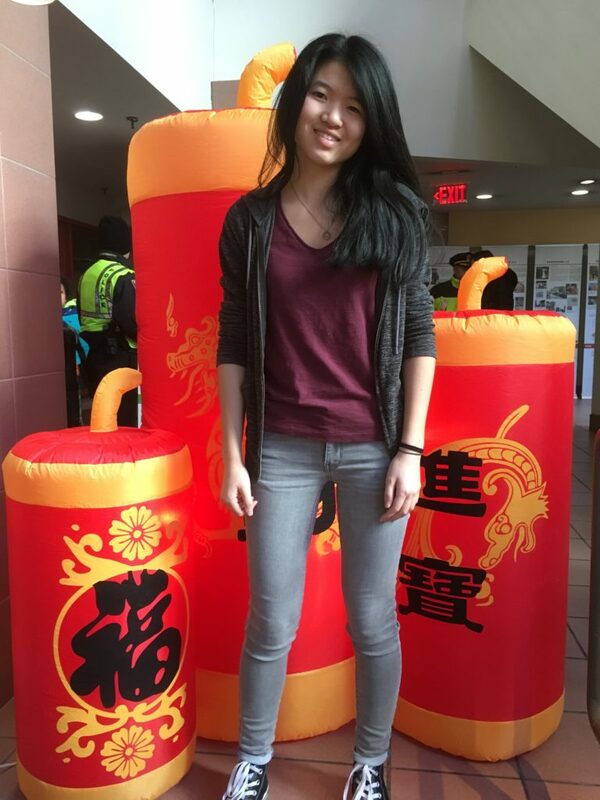 I’m attending the festival in Boston this weekend and look forward to all the Asian fun to kick off summer. 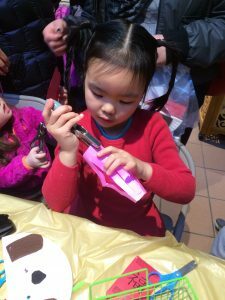 As we approach Lantern Festival this week, I’m pleased to share my favorite post of the year chronicling my Lunar New Year events. 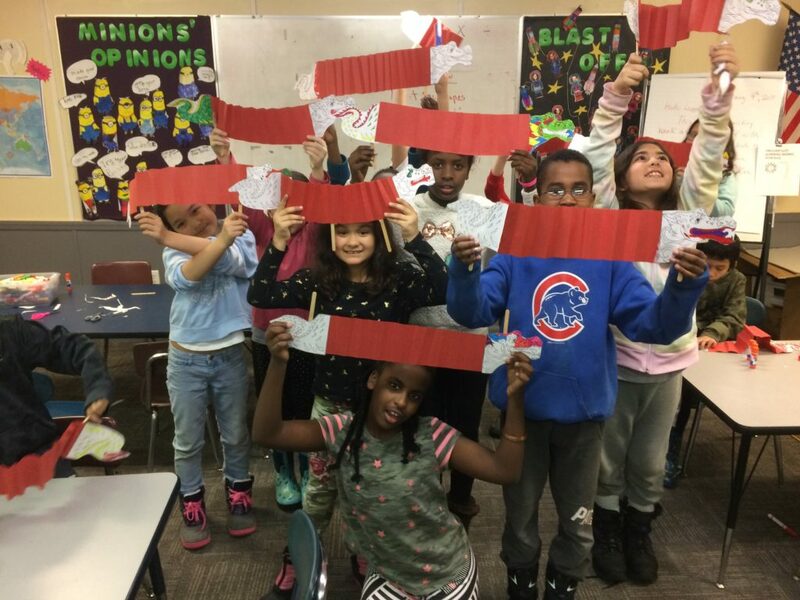 Each celebration offered a distinctly different approach and cultural experience, and I’ve come away with many warm memories and inspiring ideas. 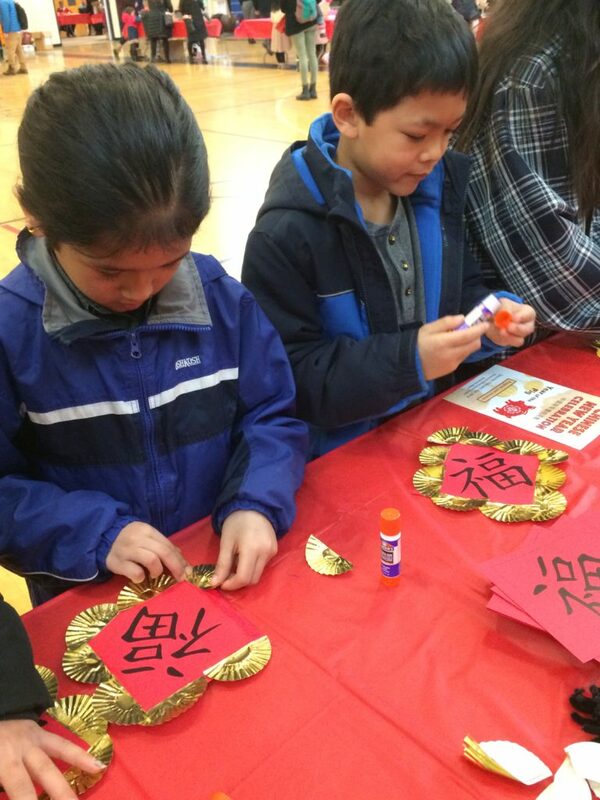 I also have an even deeper understanding of the significance of celebrating Chinese New Year with my family, friends, and the many communities I visited. I’ll let the photo gallery illuminate each account. 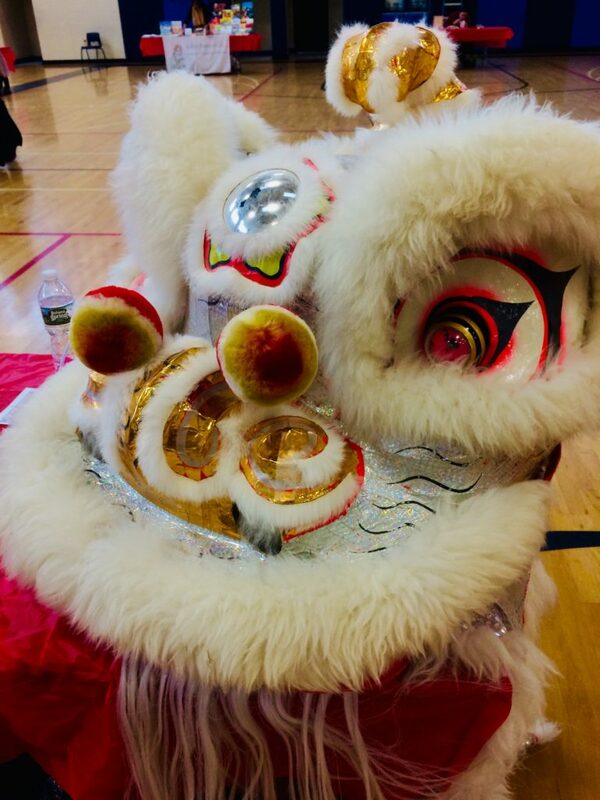 Our local CAFAM ‘Year of the Dog’ festival in Westbrook, Maine was a much-anticipated reunion with many old friends. 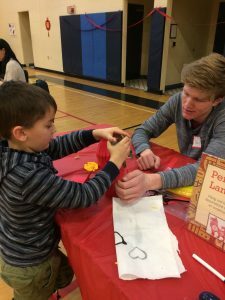 My daughter got in the mix, working at one of the craft stations for the day along with a terrific bunch of other high schoolers from the Portland area. 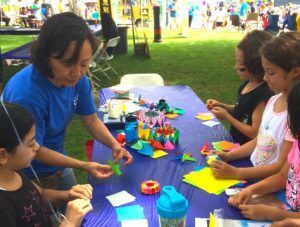 This event required a substantial amount of planning and pre-event craft preparation, and as a board member I had my eyes and ears on many aspects of the jam-packed schedule. It was also our organization’s first year hosting the event under dynamic new leadership. 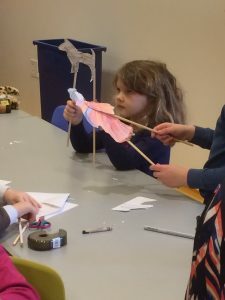 I designed some new crafts including a ‘dragonfly copter’ and of course had lots of ‘dog’ themed activities. 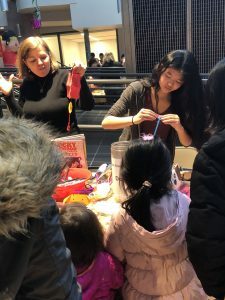 The craft area was bustling all day as the excited kids hustled from one table to the next, not wanting to miss a project. Then off to the lovely Peabody Essex Museum in Salem, MA. 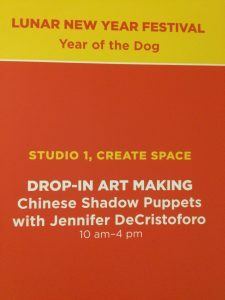 I designed original shadow puppets for their maker area to give a nod to their current PlayTime and upcoming China Empresses exhibits. 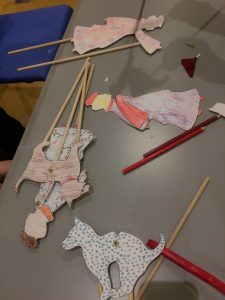 Their ingenious creative director made a lit multiple puppet stage area so the kids could take their assembled and decorated puppets right across the room to play. 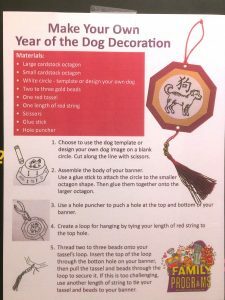 PEM also had a second art drop-in area to make the ‘Year of the Dog’ pendant from my book. 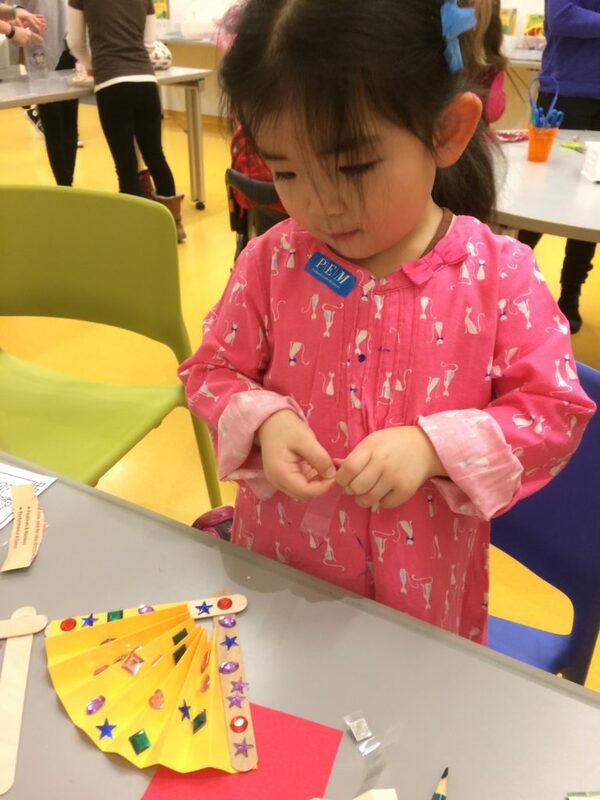 I loved how the directions were clearly displayed and the supplies were beautifully organized for the hands-on crafts. With both of these offerings, I’ve never seen the concepts, instructions and designs from my book taken to such a high level. 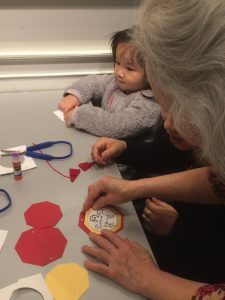 Since its inception, I’ve really hoped the book would be a “workhorse” tool that readers could expand into full activity days and programs and I saw that come to life (yet again) at the PEM Lunar New Year event. 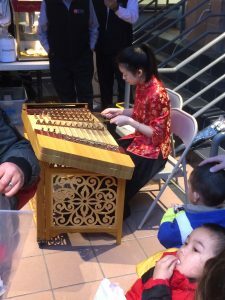 My last event was on a soggy, gusty day in Chinatown, Boston but nothing could dull the bright faces, pops of firecrackers and drum beats. 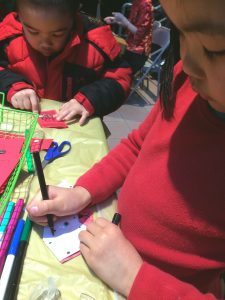 We were welcomed to the China Trade Building at setup time with fresh-baked pork buns (at which point I knew this was going to be a great day) and had a very popular table all day, crowded with creative kids. 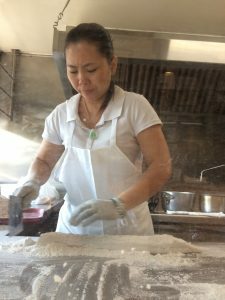 After the Cultural Village ended and the last scraps were cleaned up, rather than hustling out of Boston I took a pause with my daughter and we had a meal at Gourmet Dumpling House. Outstanding food in a tiny, chaotic dining room. 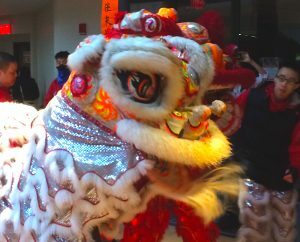 The gray, drizzled light was dimming outside but the lion dance troupes were still passing by the window now and then, with their drums and seemingly unlimited energy. I truly felt the soul of China that day. So that’s where my focus has been for several weeks. 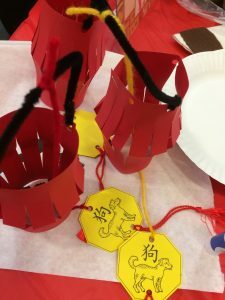 One last bit of news… Wes Radez of the Chinese American Family website has posted a profile about Lucky Bamboo Crafts and a lantern tutorial, perfect for the aforementioned Lantern Festival on March 2nd. 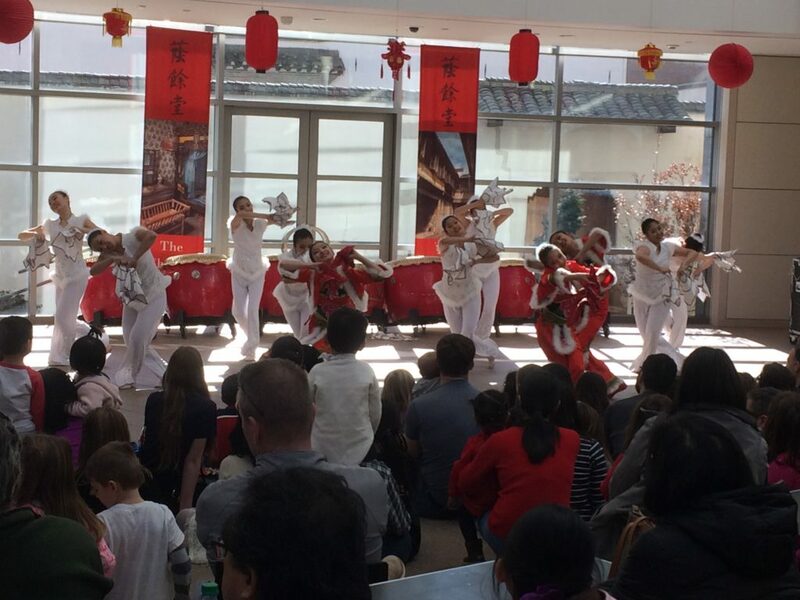 This Oakland, CA based company puts out wonderful, informative content on all aspects of Chinese culture and how to share it with your family and community. 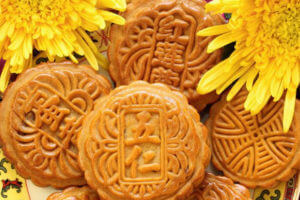 Until next time, I wish you a most auspicious year ahead. Welcome back! A highlight of this Fall was my California Bay Area trip in October. Although I had a heavy heart for all the suffering in the North Bay as the fires were blazing, I was able to enjoy my smoky travels and saw several wonderful friends. 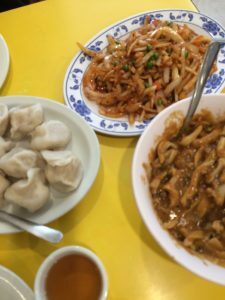 And oh my, we found the most amazing Chinese homemade noodle and dumpling restaurant in Oakland Chinatown! 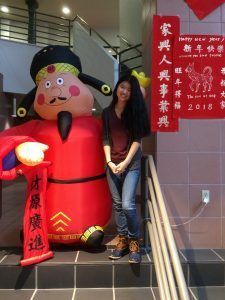 Back home and to the Maine Chinese Conference in Bangor. I got to exhale this year and be an exhibitor only. Mingling and taking part in the workshops was much less stressful than being a keynote, as I had done for the last two years. 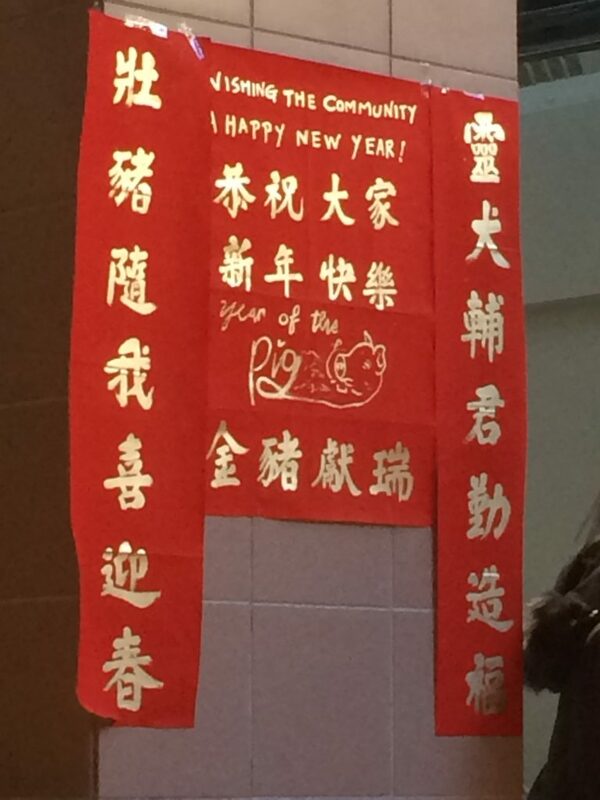 Of course the small detail of much of it being presented in Mandarin was daunting but motivating. At least I got to train my ear, but I can’t accurately relay the high points, sorry! 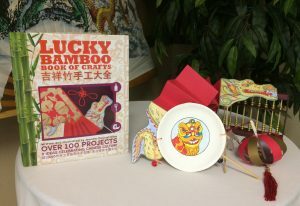 I did get to present a copy of Lucky Bamboo Book of Crafts as a gift to the visiting Consulate General of China from New York. Then Thanksgiving came along… the kickoff to the long, multi-culture, multi-faith string of holidays. 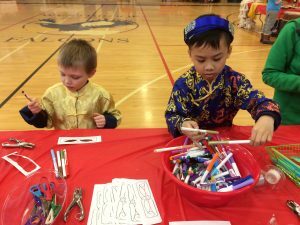 A wonderful board member from our local Chinese friendship organization described her blend of cultures at Thanksgiving, growing up Chinese-American which I thought was so interesting as we all consider what we include in our own family traditions. Maybe my friend’s words echo your own experience. 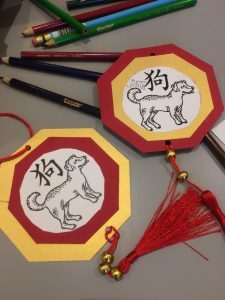 Even as I wrap presents and plan for the Christmas break, the upcoming ‘Year of the Dog’ is on my mind. 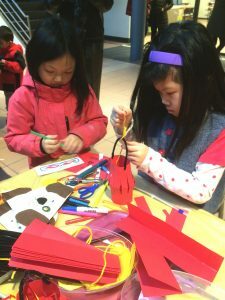 Our local Lunar New Year planning is well underway and I better start thinking up some awesome crafts that bark! Please check my event calendar as craft dates get set. I’ll also use this time of year to step out of my busy routine to not only think to the future, but reflect on all the people, places and experiences that made my ‘Year of the Rooster’ a good one.